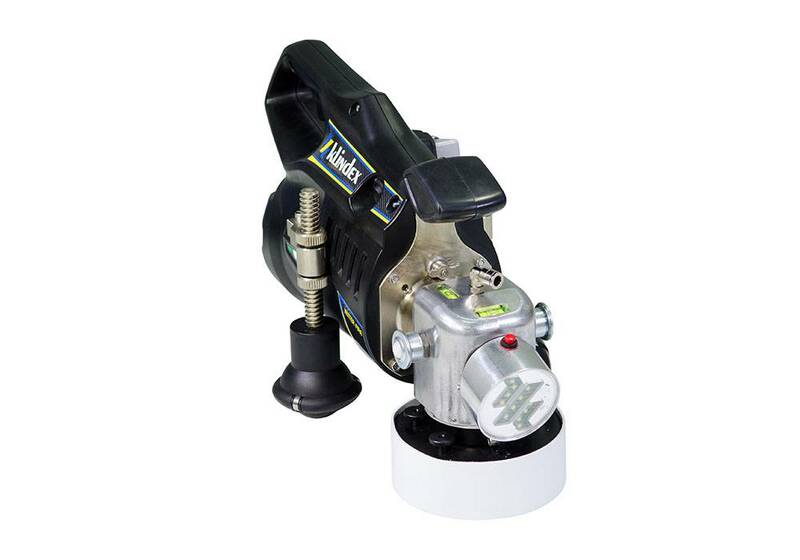 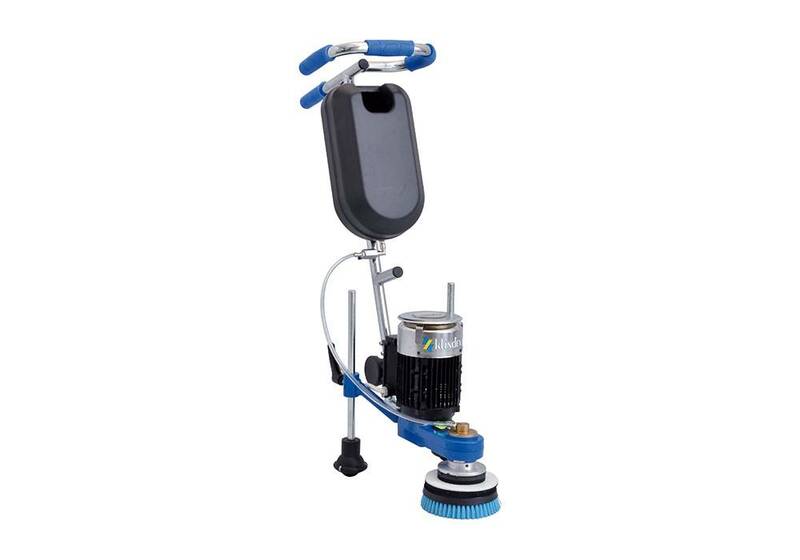 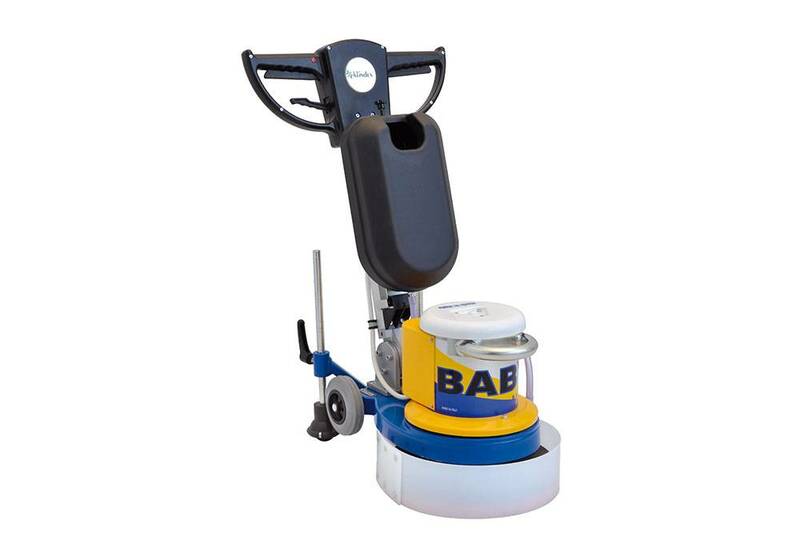 Compact and powerful grinding and polishing machine ideal for stairs and narrow areas. 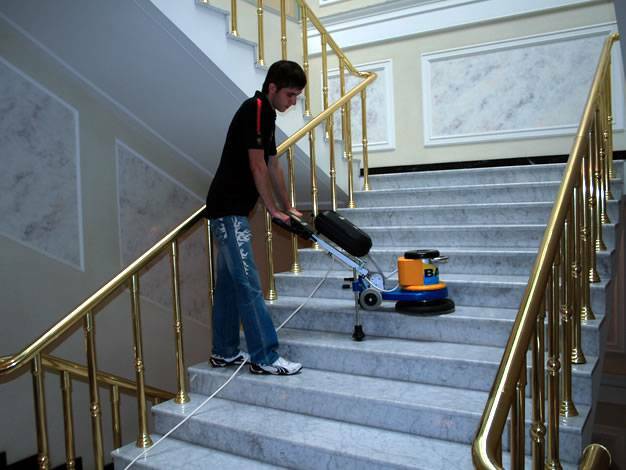 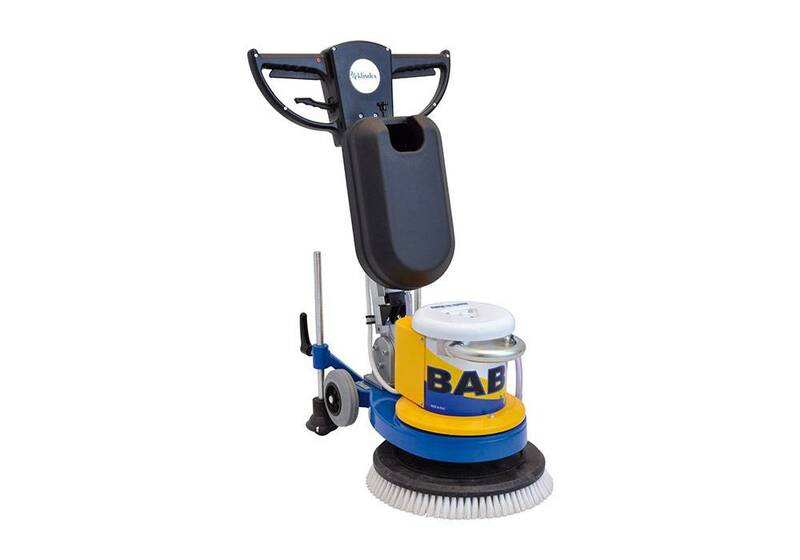 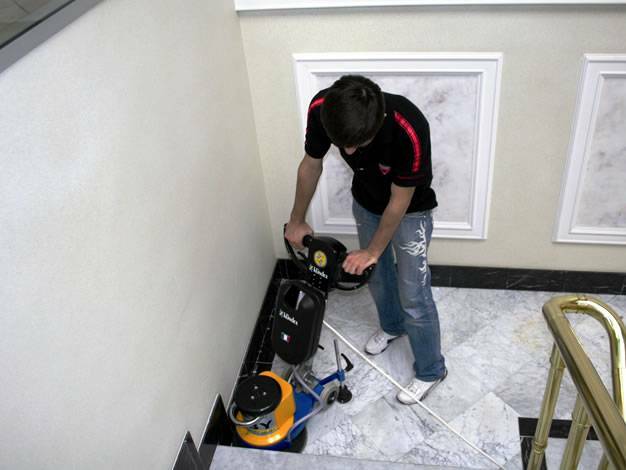 Light and compact floor care machine designed for polishing stairs, bathroom, kitchen and narrow areas. 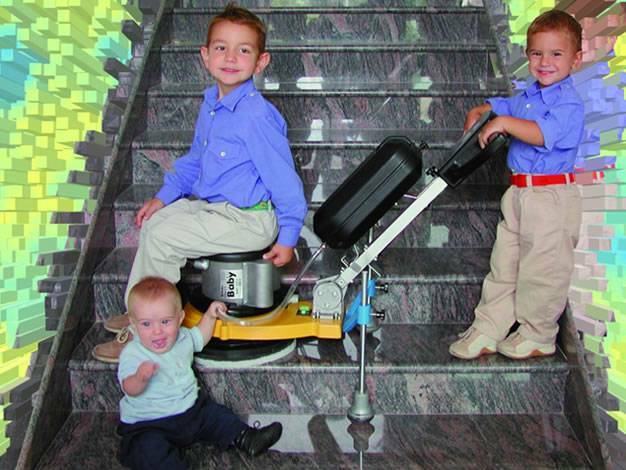 The multidirectional wheels, with adjustable height, allow to easily adjust it to any stair. 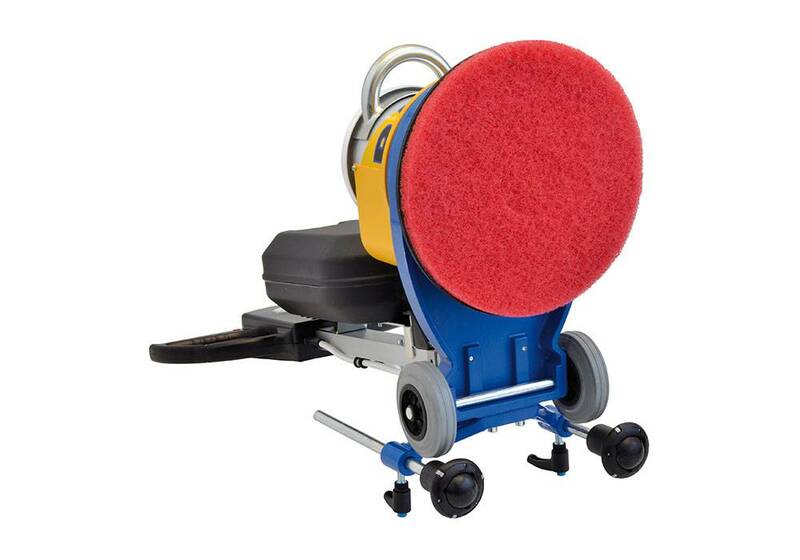 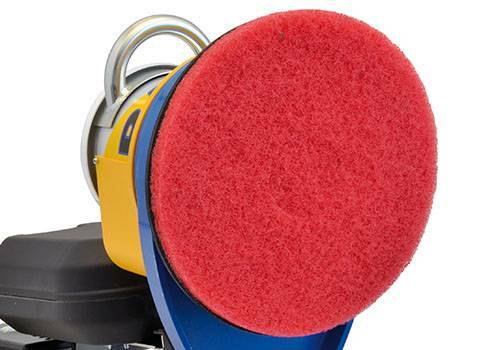 Pad holders and brushes of size 330mm/(13”) or 280mm/(11”) are available at customer’s choice. 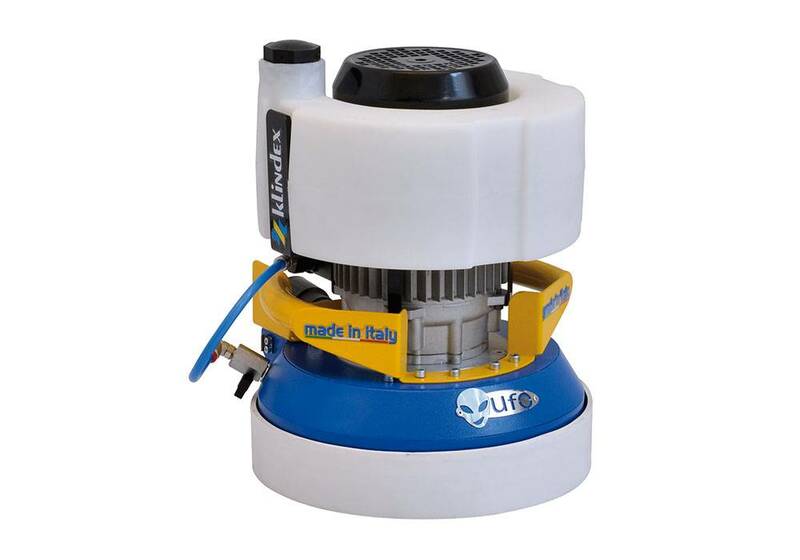 The powerful motor of 1,7 HP allows the use Planetary 1000/800 rpm. 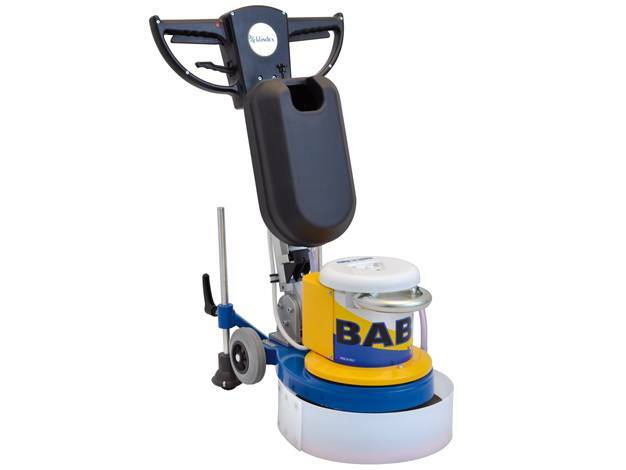 *Complete with Water tank and Pad Holder 280 mm.